Watch this video to learn more about our exciting plans for the future. 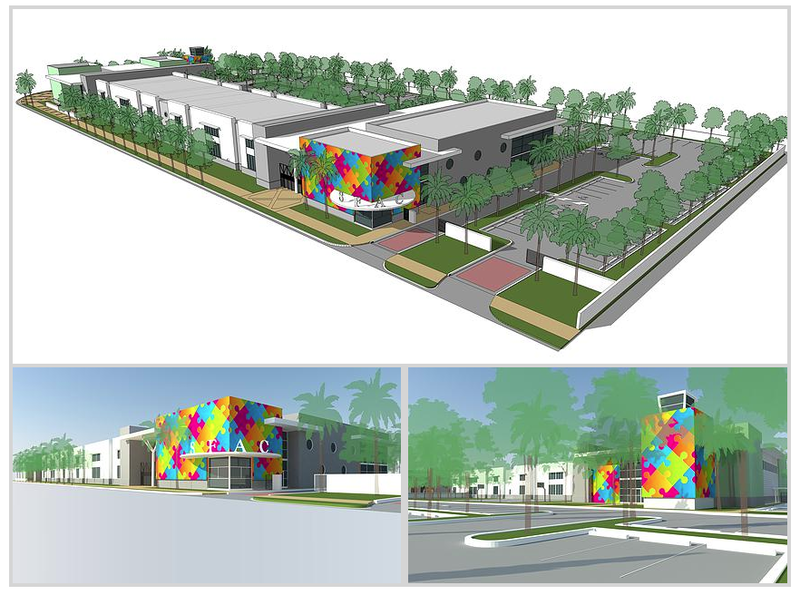 We will soon break ground on a state-of-the-art campus that will include a school building for South Florida Autism Charter School and a community outreach building for South Florida Autism Center. Children and Youth benefit from our programs, all of which utilize the methodologies of B.F. Skinner's Theory of Applied Behavioral Analysis and Verbal Behavior. Adult Day Training program for individuals 22 and older who are diagnosed with autism. Participants receive instruction in daily living skills, community skills, and vocational training. SFA Center provides camp programs for students 3 and older who are diagnosed with autism. Camp takes place on days that there is no school in session. Programs include Teacher Work Day Camp, Saturday Camp, Spring Camp, Winter Camp and Summer Camp. Law Offices of Lawrence D. Popritkin, P.A. Learn more about South Florida Autism Center, Inc.
Make a gift to South Florida Autism Center, Inc.